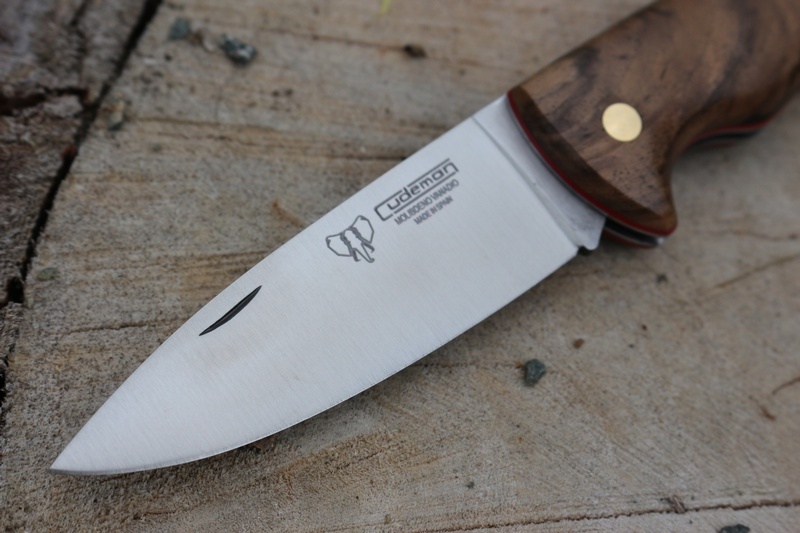 Classic Folding knife from Cudeman Spain! Excellent quality General Purpose Folder, solid steel liners with very nice Walnut slabs, Brass Pins and Red Liners. This has a solid grip in the hand and the wide slabs are contoured and comfortable, with an overall feel of being well made and practical. 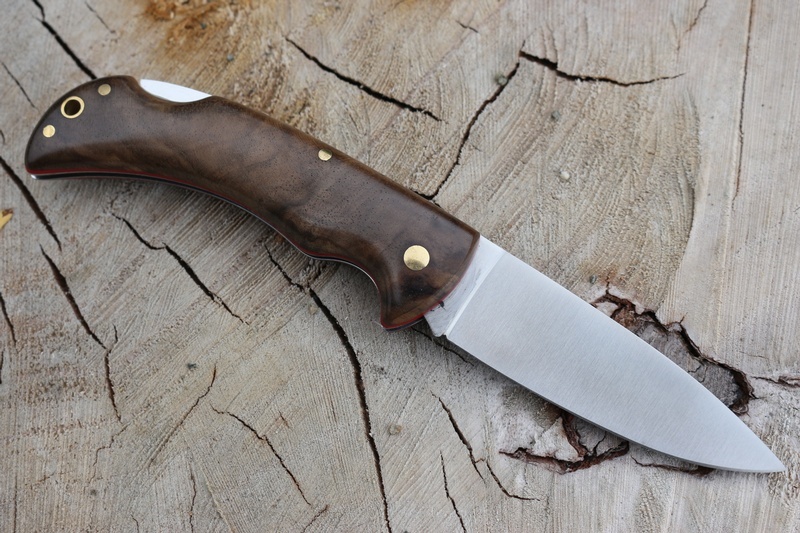 The Lockback folder is clean lined and solid with a quality 2.5mm Molybdenum Vanadium Spear point blade, ground flat, and 56/8HRC. 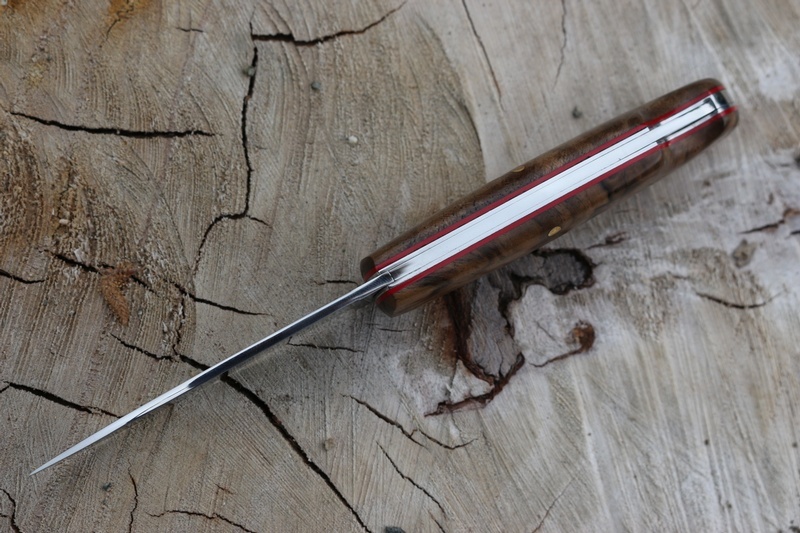 Handsome back-up, General Camp, EDC and whittler! 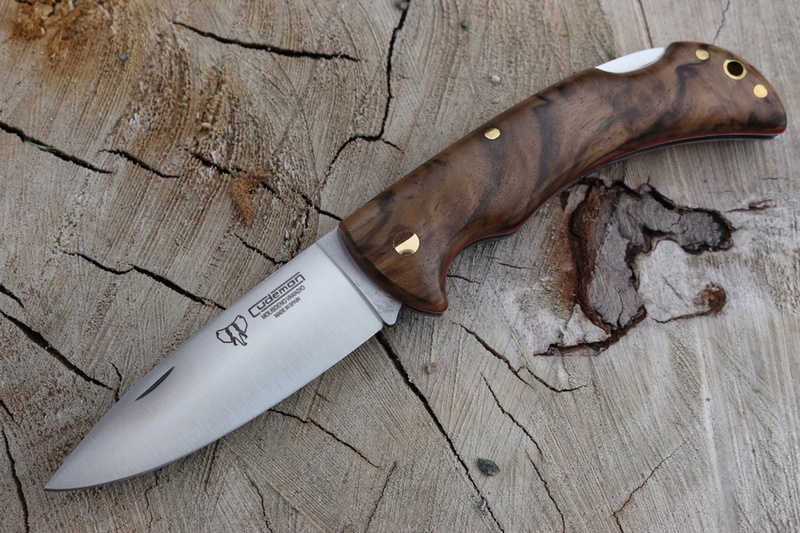 Purchase through PayPal by using the "Add To Cart" button above or use the form below to order the Cudeman Classic Walnut Folder . 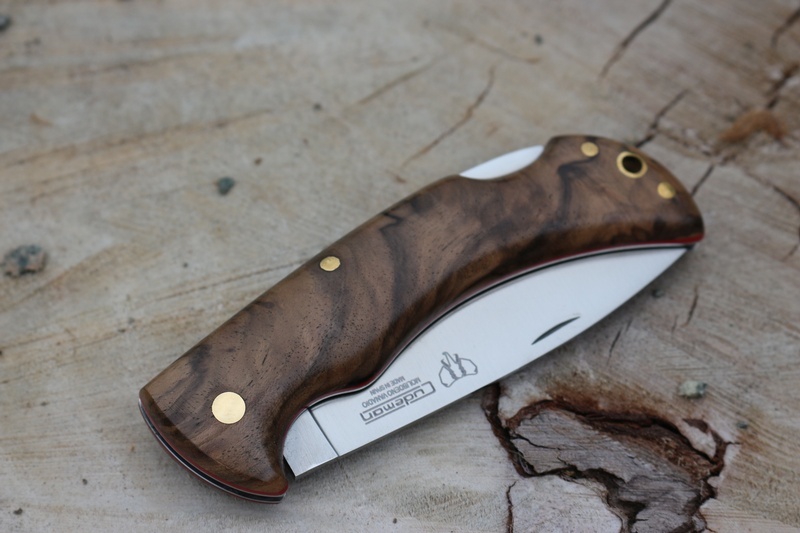 Feel free to contact us if you have any questions about the Cudeman Classic Walnut Folder .